Authors: Chen, J.C.-H., Miercke, L.J.W., Krucinski, J., Starr, J.R., Saenz, G., Wang, X., Spilburg, C.A., Lange, L.G., Ellsworth, J.L., Stroud, R.M. 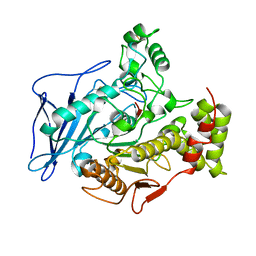 Cite: Structure of bovine pancreatic cholesterol esterase at 1.6 A: novel structural features involved in lipase activation. Authors: Lu, J., Sun, P.D. 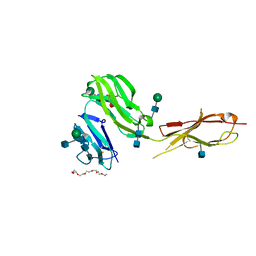 Cite: Crystal structure of Fc gamma receptor I and its implication in high affinity gamma-immunoglobulin binding.